Not everyone is comfortable drinking the tap water in this small town near the southern end of Lake Maggiore. So sales of bottled water abound. That’s good for the producers and the retailers. It’s not so good for the people who have to pay for it. And, as Trump would say, it’s Very Bad (and then we’d part company) for the environment because of the need to produce and then dispose of the plastic bottles (think marine pollution and fish deaths for starters) not to mention the emerging if contested evidence that the chemical Bisphenol-A can leach from the plastic container into its contents and so into your body. In Sesto Calende (and doubtless elsewhere) there’s an alternative that is both green and communal. In the car park opposite the historic San Donato church stands a bottle-filling machine. For 2 cents (in UK money that’s about 2p and rising, depending on Mrs May’s latest ramblings) you can fill your own one-litre glass bottle with still or sparkling water. And you can do it as many times you like for 2 cents a time. Or buy a season ticket. Compare this with the fact that you’ll pay 10 times the price for bottled water in a large supermarket and even more in smaller shops. So, here we have a 24/7 public service which reduces health risks, cuts plastic pollution, saves users money and – even allowing for the fact that people drive to get there – is environmentally positive. What’s not to like? This entry was posted in Environment, Society and tagged bottles, Italy, Local government, plastic, Sesto Calende, water on 23 September, 2017 by Peter Cleasby. Is it really #GreenerIn ? The EU is seen as a defender of the environment, but is this still true today? Few people would argue with this. But it’s a big step from there to say that our environment will always be safe in the EU of the future. The current European Commission, which took office at the end of 2014, has a less sympathetic view of environmental protection than its predecessors. For the clearest available evidence of this, it is worth reading in full Chairman Juncker’s letter of appointment to the Environment Commissioner, Karmenu Vella . It’s worth remembering that of all the EU institutions, only the Commission can propose legislation. In the past, Environment Commissioners have been able, by and large, to plough their own furrow. Not any more. The Juncker Commission has several Vice-Presidents, whose job is to coordinate the work of the single portfolio Commissioners. No prizes for guessing what “modern” means. None of this is to argue for or against Brexit. It’s simply to remind ourselves that in public policy, as with investments, past performance is no guide to the future. See for example https://www.opendemocracy.net/uk/caroline-lucas/its-time-to-make-progressive-case-for-staying-in-eu . This entry was posted in Environment and tagged Birds Directive, Caroline Lucas, Competitiveness, Environment Commissioner, Environment protection, European Commission, Growth, Habitats directive, Juncker, Karmenu Vella on 8 April, 2016 by Peter Cleasby. This is the valley of the River Burn between North Brentor and Mary Tavy in west Devon. The Campaign to Protect Rural England wants to build a main line railway through it. 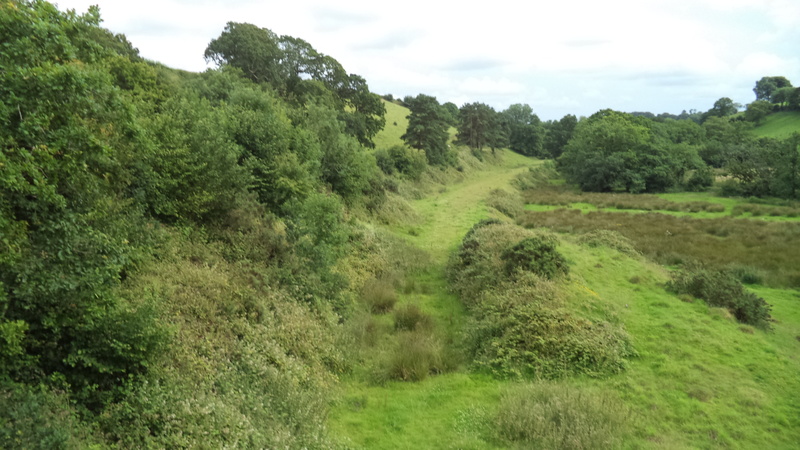 My blog The wrong kind of evidence on the line challenged the CPRE’s claim that its recent report made a case for reopening the dismantled railway line between the Devon towns of Okehampton and Tavistock. The trackbed runs along the north and west edges of Dartmoor. The scheme would form part of a larger project, supported by the Plymouth business lobby, for a second main line between Plymouth and Exeter. Further background in my other blog – please read it. This new blog attempts to show pictorially the changes and damage that rebuilding the dismantled line would cause. It’s worth remembering that the line would need to be rebuilt to modern engineering and safety standards: it wouldn’t be a case of just chopping away some trees and bushes and then laying the track. Click on the pictures for a bigger view! 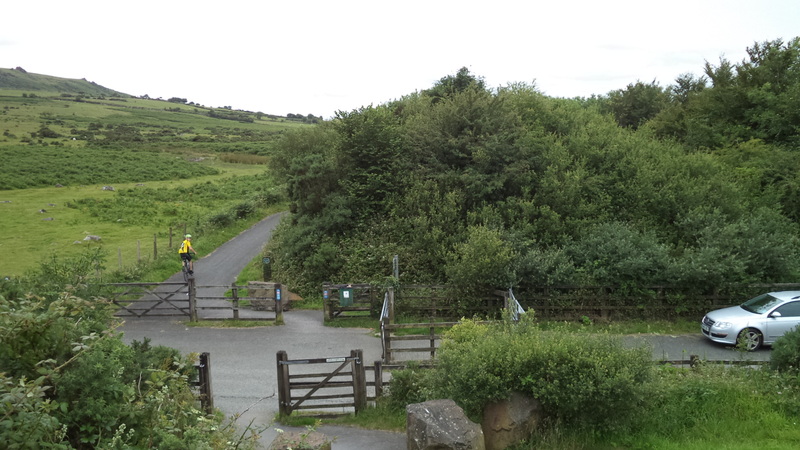 The stretch of trackbed between Okehampton and Lydford forms part of national cycle route 27, as well as a generally flat path for walkers. Though some parts of the path have trees and bushes on either side (which form a useful windbreak), there are stunning views too. 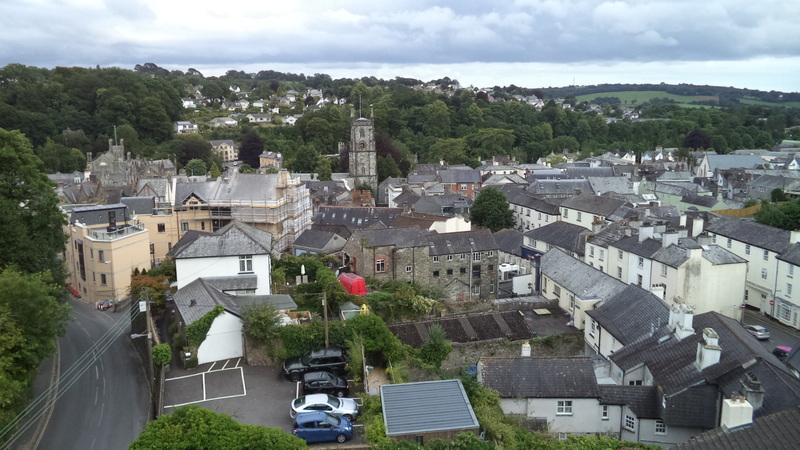 The Tavistock viaduct is a very attractive footpath with fine views of the town. It seems unlikely there would be room for pedestrians and cyclists if the railway were put back in place. 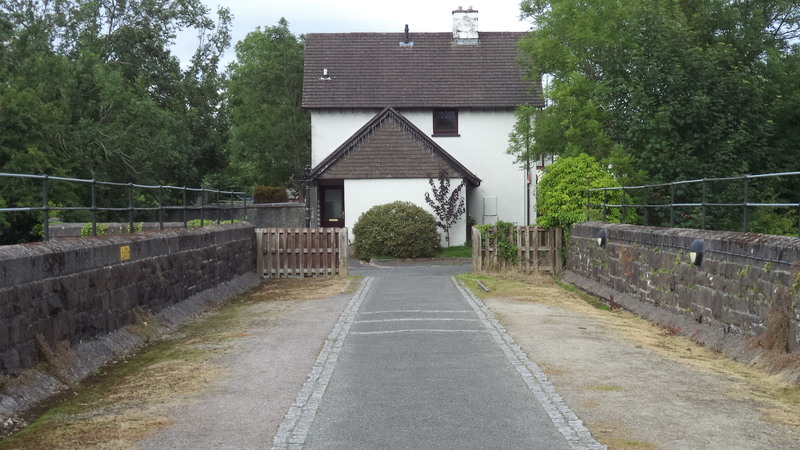 Rail safety regulations would specify a minimum distance, as well as barriers, between the railway line and a cycle path or footpath, so not only would peace and quiet go out of the window but also the landtake would be significant. 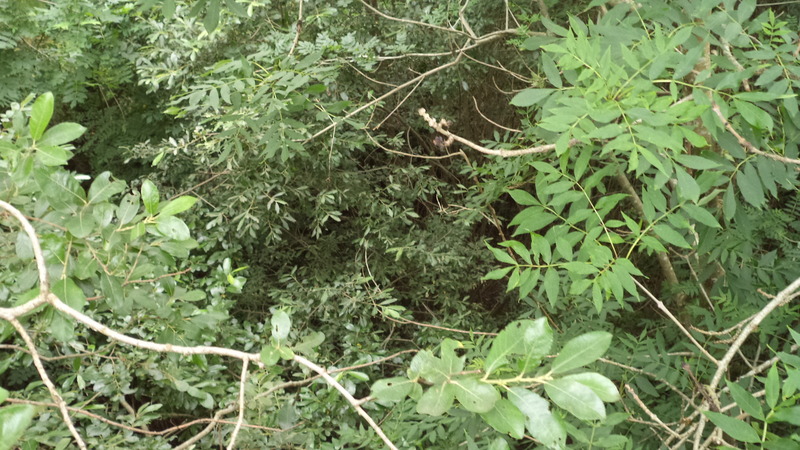 Most, perhaps all, of the old trackbed south of Lydford is in private ownership. 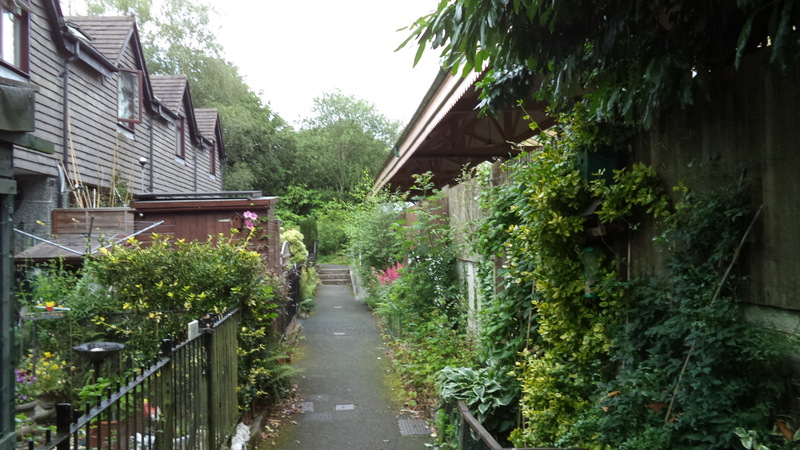 Some is now in farm use, and elsewhere stations buildlings have been converted into private homes with the trackbed itself forming part of the garden. 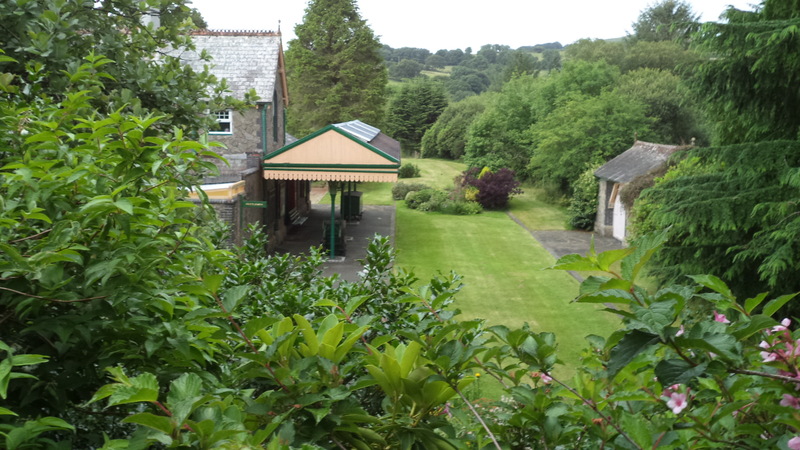 At Tavistock, offices and private houses surround the old North station and block the viaduct. 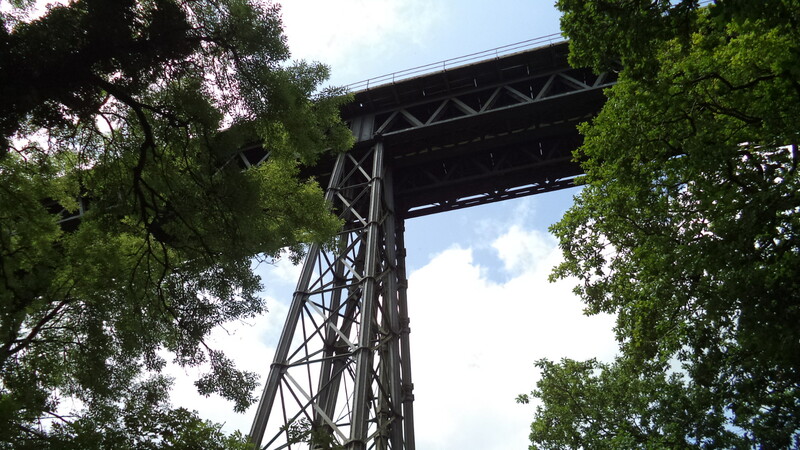 Meldon Viaduct is a structure of historic interest. Whether it could be strengthened to take trains again seems doubtful since Network Rail have in the past said a new structure would be needed if the line were to reopen. Elsewhere, stone overbridges have disappeared and would have to be replaced. Network Rail bridge architecture is not renowned for its sensitivity to the natural environment. I’m no wildlife expert but it’s reasonable to assume that those parts of the trackbed now covered in vegetation are home to all manner of beesties. Although the rumble of the A30 traffic is audible around Meldon, the area around Brentor and Mary Tavy is silent save for the occasional bleating of sheep. It is unspoilt and nature has reabsorbed the dismantled railway back into the landscape. 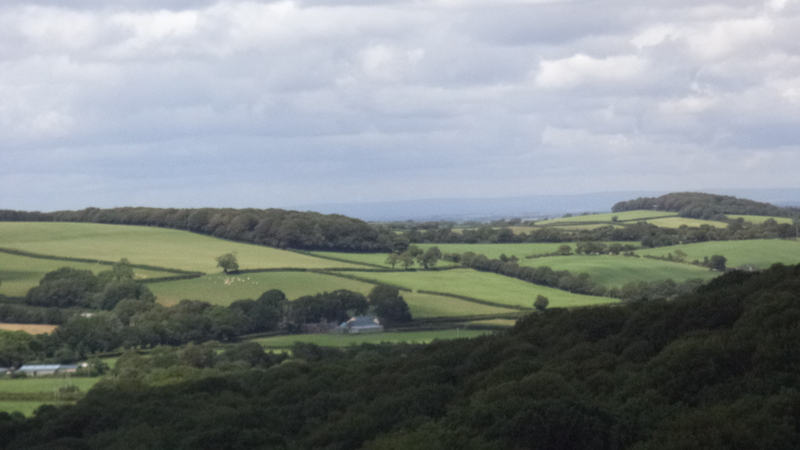 As a lobbying group, the CPRE ought to take seriously the government’s stated policy that the natural environment can be valued as part of any investment appraisal process. Sadly, there’s no evidence that this figures in CPRE’s current thinking about reopening rural railways. 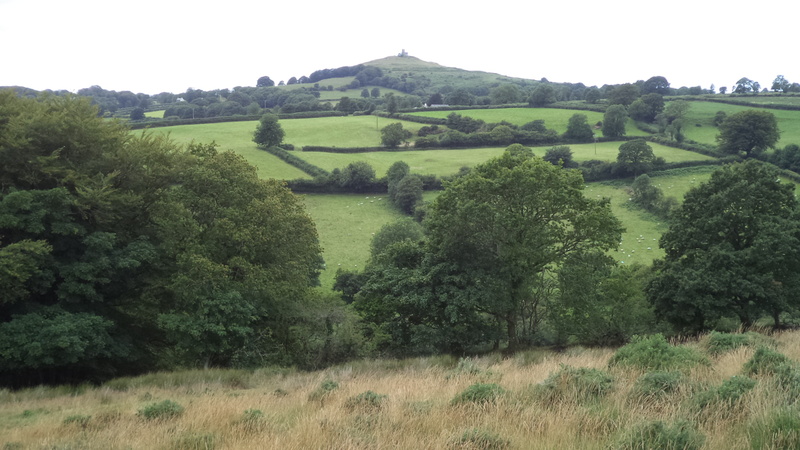 This entry was posted in Environment and tagged Brentor, CPRE, cycle network, Devon, dismantled railways, landscape, Mary Tavy, reopening, second Devon rail route, tranquility on 18 July, 2015 by Peter Cleasby. The Campaign to Protect Rural England – CPRE – used to pride itself on evidence-based (or at least evidence-backed) lobbying. 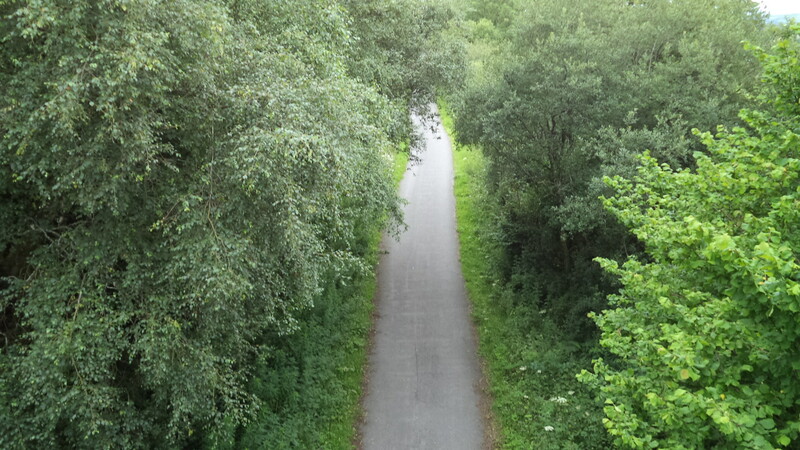 The publication last month of a report on the rebuilding and reopening of the old railway route across Devon between Okehampton and Tavistock  raises questions as to whether spin has now got the upper hand at CPRE HQ. For those unfamiliar with Devon and its railways, the key facts are these. Before the Beeching closures in the 1960s there were two main line routes between Exeter and Plymouth: one south of Dartmoor via Dawlish and Totnes, and one to the north of Dartmoor via Okehampton and Tavistock. Following Beeching the latter line was closed to passenger traffic and the track between Meldon Quarry (just west of Okehampton) and Bere Alston (south of Tavistock) removed. Within this 15-mile “gap”, much of the trackbed is now part of the national cycling network and the rest in private hands. Following the two-month long closure of the remaining main line when the sea wall at Dawlish was breached in the winter of 2014, there has been considerable debate about the value of reopening the line via Okehampton. Now to be fair to the authors of the report, they are a bit more cautious about what can be claimed. They point out that they are not making an investment case itself, but rather that the findings “offer a basis for developing an updated business case” (p8). However, the authors state the focus of the report is the “local social and economic impacts” of a new line (p6). The evidence for these “impacts” are drawn from interviews, a literature review (primarily the West Devon Borough Council Local Plan and some business surveys), and a workshop at which “experts….validated the findings” (p6). Having defined its focus, the report wanders off into unrelated territory. For example, it states that one of the factors to be considered in an investment appraisal is “Meeting the strategic needs of the naval dockyard in Plymouth” (p7). However much one may admire the Royal Navy, this objective is at some distance from CPRE’s own charitable goals. The section on the local economy and its development (pp19-22) regurgitates a load of information from the Local Plan and the LEP’s Strategic Plan, but doesn’t link any of this to the rail investment case. There is one reference to a separate survey of businesses which found that 53% of the 300-plus businesses questioned reported that poor public transport links were seen as contributing to difficulties in recruiting staff. The CPRE report does not point out that this survey covered two other district council areas in addition to West Devon, nor does it record that only 20% of the businesses in West Devon identified public transport as inhibiting recruitment . Many statements simply do not support the contention that there are economic and social benefits from reopening. Take four examples. First, an investment appraisal factor is “The enlargement of the Exeter catchment both in terms of travel to work/education and more widely for day out/shopping” (p7). It’s not clear why encouraging people to spend in Exeter is an economic benefit to the rural areas, nor indeed why anyone is going to travel from Tavistock round the northern edge of Dartmoor to Exeter when Plymouth is bigger and nearer. Second, the report notes that there are high levels of commuting from West Devon to Plymouth and Exeter, contrary to the Council’s policy aim of residents finding employment within West Devon. So it’s a bit surprising that anyone should be enthusiastic about making it even easier to commute out of West Devon (p16). Third, presumably as evidence of the need for the rebuilt railway, the report cites a business based in Holsworthy complaining how difficult it is to find transport services to send employees away for training (p18). OK, but Holsworthy is 20 miles from Okehampton and 23 miles from Tavistock. Fourth, health. The report notes that people needing acute hospital services travel to Plymouth if they’re in the Tavistock area and to Exeter if they’re in the Okehampton area. It also notes that the “main hospital sites are poorly located for future access by train” (p19) so no help there for the investment case. Perhaps the biggest weakness of the report is that it fails to make any coherent case for joining up the gap between Okehampton and Tavistock. The attitudinal survey reports that Okehampton residents are interested in a train service to Exeter (where the track remains in place) but not to Plymouth (p26). There are complaints about the bus service, which could be resolved far more cheaply than rail reopening by local authority subsidy. Similarly, Tavistock residents favoured a rail link to Plymouth, but said nothing about getting to Exeter (p31). The report is more convincing when it reviews the practicalities involved in rebuilding the line. Not least the challenge of what to do with the Victorian iron-built Meldon Viaduct, now a much loved cycle route and public footpath, and the need to demolish houses in Tavistock that have been constructed on the trackbed (pp37-39). Retaining the amenity of the 6-mile cycle route is also recognised as a challenge, though one suggestion is to reroute it well to the north, thus ruling out any realistic possibility of its use by cycling commuters between Okehampton and Tavistock, a policy that CPRE campaigns for nationally. What on earth is the CPRE doing promoting all this? The organisation that has demonstrated how tranquillity in the English countryside is being lost now supports a scheme that would lead to noisy diesel trains (we don’t get new trains down here in the southwest) belching fumes into the atmosphere, shoving walkers and cyclists aside, and destroying peoples’ homes. See my related blog for pictures of the impacts. The scheme would also, on the report’s own admission, lead to increased car traffic to the new railhead stations which – particularly at Okehampton – would involve the development of park and ride facilities, necessarily on greenfield. There may indeed be a case for rebuilding a railway between Tavistock and Okehampton. The CPRE’s report does not make it, and nor do the report’s authors claim that it does. But the spin given to the report, not least the unsubstantiated claim in the CEO’s foreword quoted above, means that a document with an ambivalent evidence base will continue to be held up as a “compelling case” for destroying a much-valued and accessible area of tranquillity in West Devon. DR Business Survey: South Hams, Teignbridge and West Devon, March 2015, at http://drcompany.co.uk/wp-content/uploads/2015/03/DR-Business-Survey-Final-Report-Mar-2015.doc.pdf See the chart on p22. 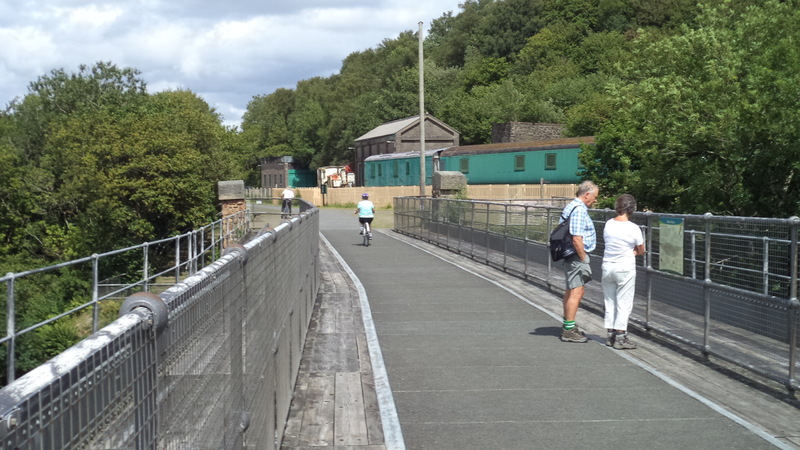 This entry was posted in Environment and tagged CPRE, cycle network, Devon, economic benefits, lobbying, Okehampton, reopening, rural railways, second Devon rail route, social benefits, spin, Tavistock, tranquility on 17 July, 2015 by Peter Cleasby. Like other local authorities across England, Devon County Council is having to make cuts to services in the name of the god Austerity. The Council’s Tough Choices consultation invites the public to comment on where the cuts should fall. Does it really? It gives more than pause for thought that any public body is prepared to implement policies with these results. The impact assessment of these cuts acknowledges they are expected to make life worse for some people, particularly in rural areas . However they do not have the long-term environmental impacts envisaged for the public transport cuts. The extent of Devon County Council’s commitment to social and environmental improvement is revealed in other savings measures. A cheap cut is the proposed £0.1m saving from reducing school crossing patrols, which will lead to increased car use as parents drive their children to school and, in the words of the officer report, “Increases in motorised travel will have the double effect of reducing daily activity levels and increasing collision risks for those children who continue to travel on foot.” . UPDATE 14 February: Devon County Council’s Cabinet decided yesterday not to proceed with the school crossing patrol savings. Apart from the social and environmental vandalism, what is striking about all these measures is that they are easy to implement. By contrast, the main highways budget is spent through a long-running contract with a private company, South West Highways, recently extended to 2017. As is so often the case, the relationship between the commissioner and the contractor gets very close. In this case, the Council and SWH have set up a “Virtual Joint Venture” . Council and SWH staff are co-located at County Hall and in the local delivery units, which gives SWH easy access to the driving seat. Under the current contract, SWH receives a fee of 2% of turnover. Dismantling any of this would be considerably more difficult than cutting a subsidy or sacking a few lollipop ladies. And of course reducing highways spending in a roads-dependent county like Devon would have the economic growth lobby up in arms. So should we be surprised that the axe is falling on the easy targets rather than on the substantial contracted highways budget, irrespective of the social and environmental consequences? It’s unlikely that Devon County Council is the only local authority making the same judgement calls. But that doesn’t mean they are good ones. The real villain, of course, is Austerity. This entry was posted in Environment and tagged Communities, contractors, councils, cuts, Devon, economic growth, Environment, public transport, roads on 13 February, 2015 by Peter Cleasby.